Love all of these looks! 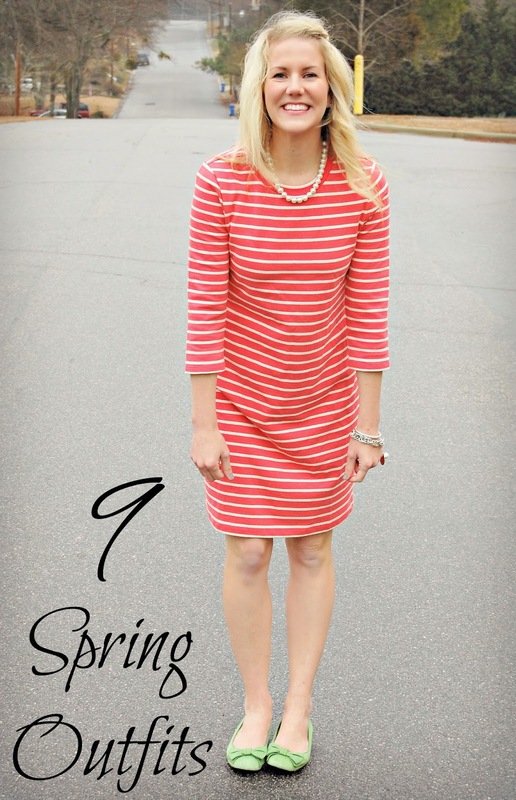 What a great run down of what to rock this Spring. I really need to invest in a denim jacket! Maybe I'll make that a pre-push present to myself ;) And you don't look pasty - it's the winter look! Love that dress! What a great roundup! 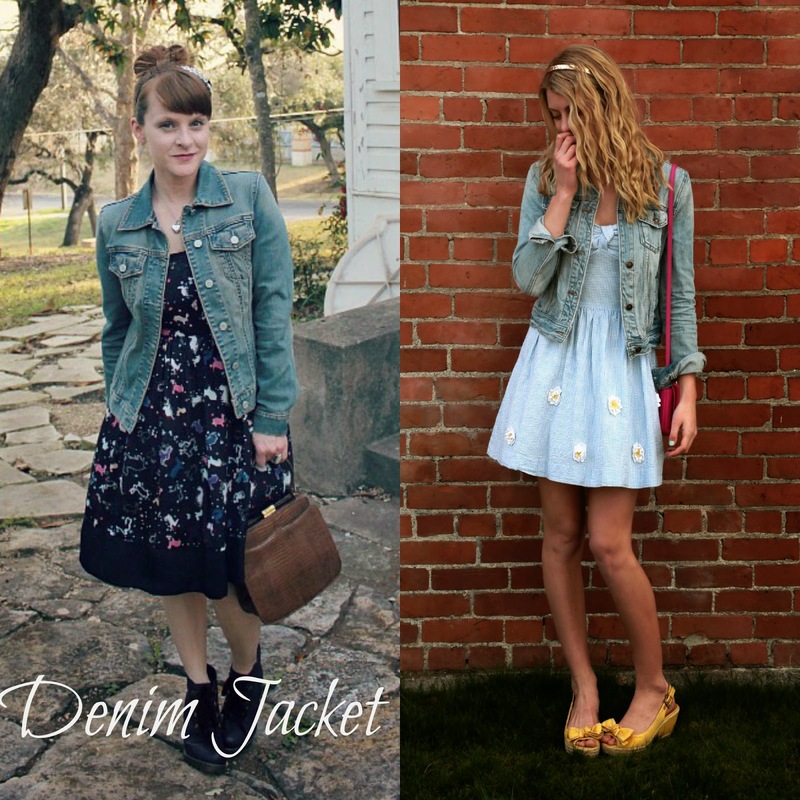 I've been rocking my denim jacket non-stop lately! Here's hoping that chambray never goes out of style because that is my GO-TO for everything and anything. i genuinely love all these looks!! so many pretty things, that's what i love about spring! 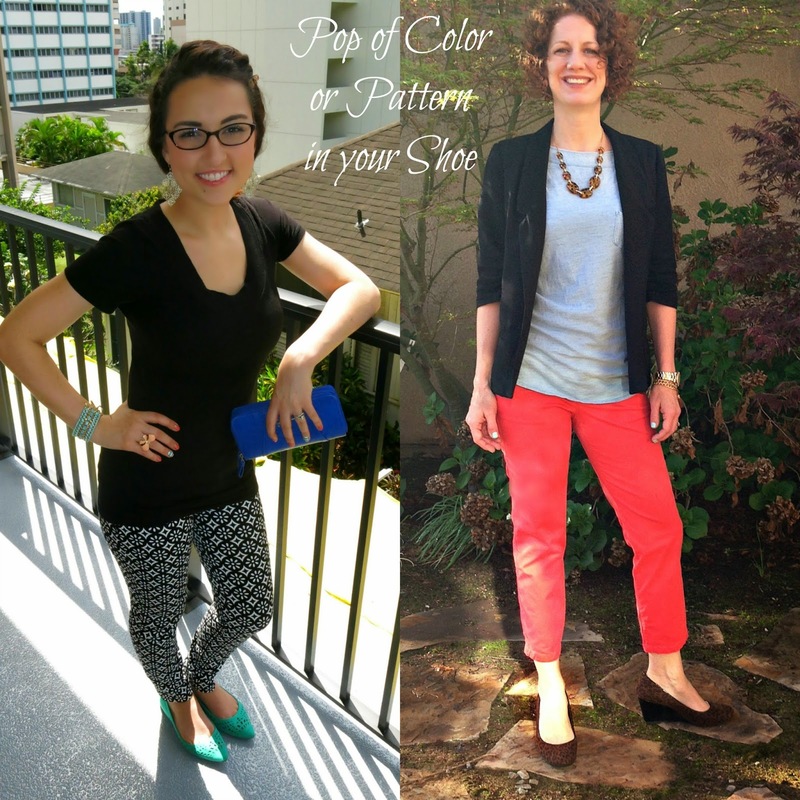 Loving ALL these outfits and loving that Spring fashion is almost here ;) I think I need some more colorful shoes to brighten up my boring work wardrobe of so much black/gray! These ideas are all great and very versatile. Not locked in to just one season. I love love love what all the other girls did with their outfits. Also the chambray with a pencil skirt, my coworker and I wear chambray a lot but she literally had that same outfit on the other day. 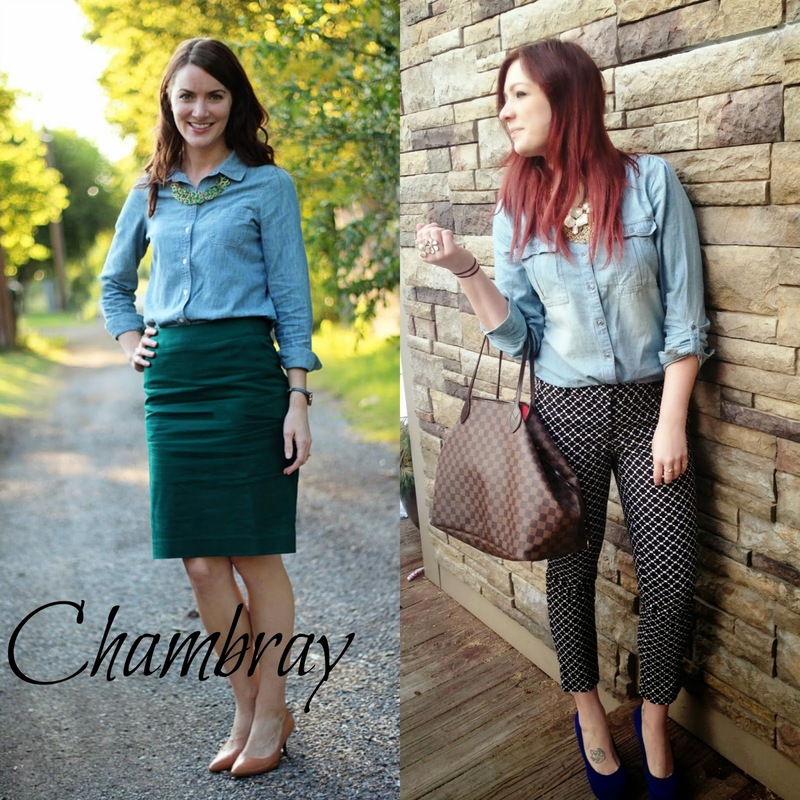 I love chambray definitely a go to in my closet! Also, you look fabulous as always! I am so happy spring is almost here... If only it FELT that way, too!! Ha! Loving all these gorgeous outfits!! that dress is so cute! and love the other outfits! love sybil's pants! and I want to participate! :) SO ready for summer!! or even just spring! these are great! i am wearing my jean jacket and bright turquoise shoes today so i am feeling right in line with your series! Ashley, I love all of these looks! I am SO ready for warmer weather!! Thanks again for letting us participate, Ashley! And yay for spring! Even though it doesn't quite feel like it yet... but I swear I can't tell in your pictures at all! I love seeing all of the other gals in their cute clothes! And that dress is great! I can see it transitioning into every season! I love a denim jacket, too. They are the best! I'm loving that red dress on you! I'm so excited for pastel colors this spring, and floral patterns! I'm loving them! 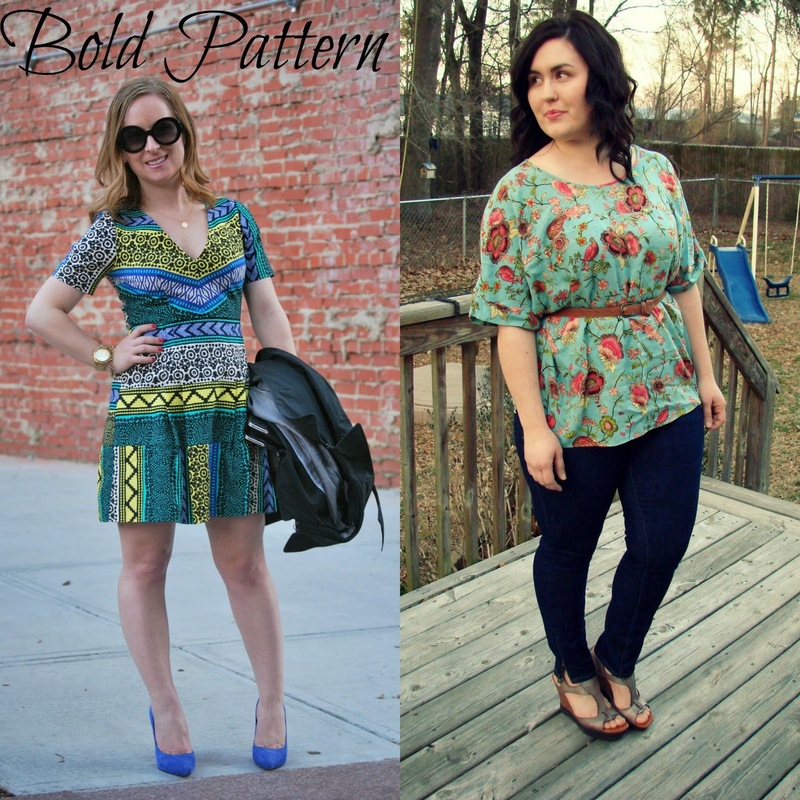 I want it to be spring so badly, so I'm loving all of these great looks from some amazing ladies. Here's to hoping spring hurries up and gets here already! I love fun prints and bold pants!